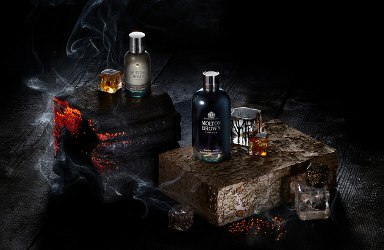 Molton Brown has launched Russian Leather, a new fragrance for men. An intense Eau de Toilette from Molton Brown. Siberian pine mingles with leather accord and woody cade in a sophisticated fragrance, exclusive to Harrods. Additional notes include birch oil. Molton Brown Russian Leather is available now at Harrods in the UK, in 50 ml Eau de Toilette and matching body and home products. Was it too mild? Have not tried it but that’s been my reaction so far to nearly every Memo.